HAPPY SOLSTICE! 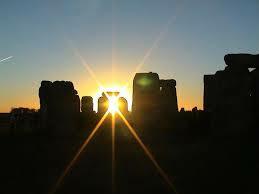 While this the shortest day of the year in the northern hemisphere it is a day for celebration. Among other things it serves as a reminder that darkness is only temporary and the sun will return to brighten our darkest days. As in ancient times choose this day to celebrate and bid a fond (or not so fond) farewell to the darkness. From this day forward turn towards the sun with #hope & #faith and simply allow the light to fill you up! Previous Post Are Your Eyes Wide Shut? Next Post Seasons Greetings from Daily Muse! I have a friend who was born on 22 December. He says he is nocturnal because of it…. Note the number. 22, a master number. Does that make him a spiritual snob? Ha! Is there really such a thing as a spiritual snob? 🙂 Thank you for the re-blog! Happy Holidays! It’s a new concept for me too. Borrowed it from the secret language of birthdays blog. Spiritual superiority. Possible….. Thank you for the share! Happy Holidays!